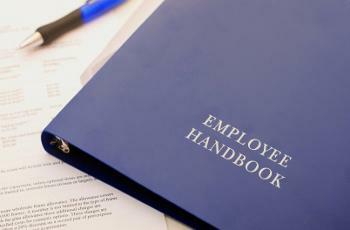 Is your employee handbook still an actual book? Turning your handbook into an electronic document can cut costs, make updating easier and give employees a convenient place to access policies. Going electronic isn’t technically difficult. But the process involves more than simply transferring written documents to a database or internal website. 1. Put acknowledgment upfront. Format the electronic handbook so that employees access the disclaimer and acknowledgment forms before reading the web version of the document. 2. Require employees to log in using their passwords to access it. You don’t want outsiders to access company policies. 3. Include links in the handbook that connect the policies and information to commonly used forms or documents, such as benefits, health plan summaries and IRS forms. 4. Include HR email and telephone contacts. Update as needed. 5. Proofread the handbook be­­fore and after putting it online to find mistakes and omissions. Test links. 6. Alert employees to the change. Send an email (with a link to the handbook) explaining the handbook is available online. Ask employees to read the handbook, sign the forms and return them to HR by a certain date. Follow up with workers who don’t respond. 7. When handbook changes are made, immediately email all employees. Make it clear in the subject line that the email is urgent and em­­ployees must read it. Keep records of these update emails in case legal action requires proof. 8. Make hard copies of the handbook available for employees who prefer paper versions or have infrequent or no access to a computer. Must we give drug policy to an ex-employee?